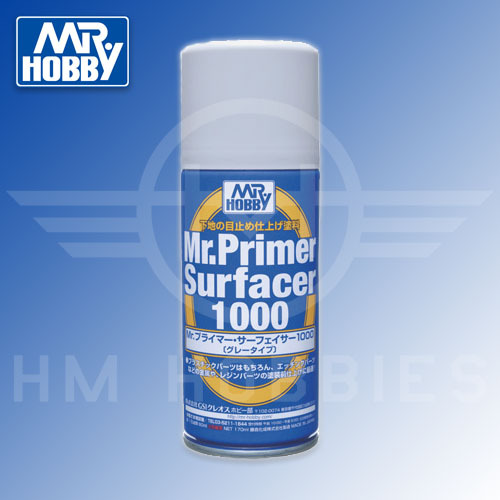 Mr Primer Surfacer 1000 - grey primer micro filler in a convenient spray can. Perfect for a quick application without the need to clean your airbrush afterwards. New formula compared to standard surfacer series improves adhesion not only to plastic but also metal and resin. Covers minor scratches and surface imperfections. Dries quickly and can be sanded and polished once dry. Can be applied in multiple layers as needed for that perfect finish.